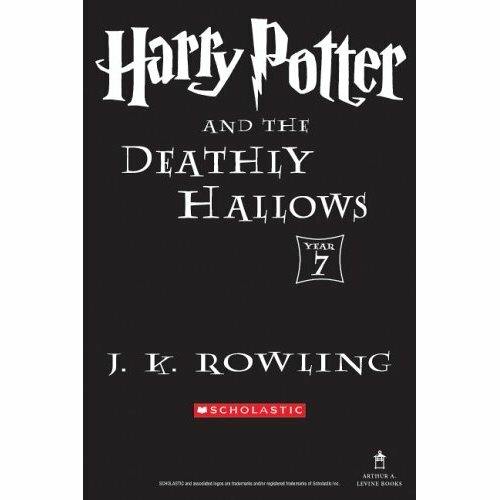 Harry Potter and The Deathly Hallows is the 7th and the final book (thus also called Harry Potter 7 or simply HP7) of Harry Potter series by English author J. K. Rowling. The epic novel may be the same all over the world, however, there are several variants of the books, especially on book cover and back artwork images, as the popular novel is published by different publishers at different geographical regions. 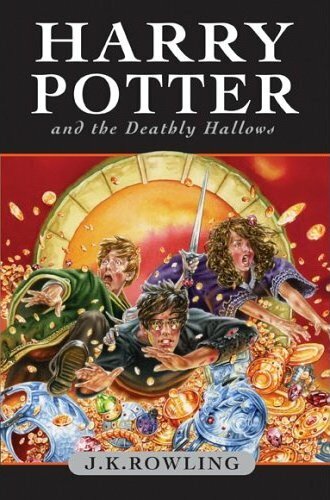 English language versions of the Harry Potter books are published by Bloomsbury in the United Kingdom, Scholastic Press in the United States, Allen & Unwin in Australia and Raincoast Books in Canada. 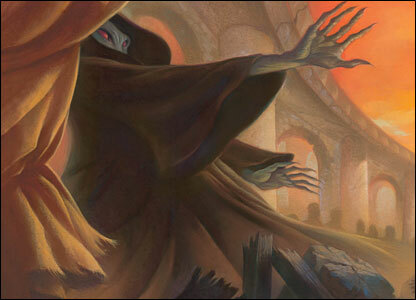 Here are collection of Harry Potter 7 front and back cover artworks from various publishers in high or low resolution. 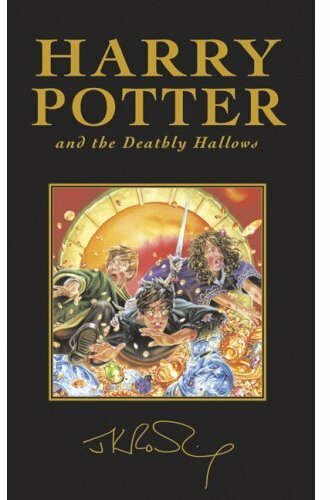 The children’s edition book jacket of Harry Potter and the Deathly Hallows (Book 7) (Hardcover) by Bloomsbury Publishing, Allen & Unwin and Raincoast Books. 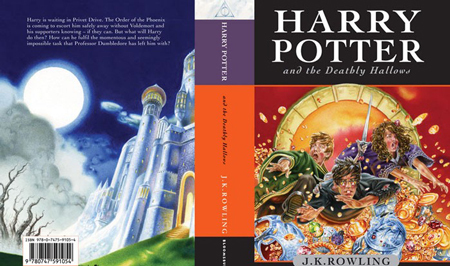 HP7 children edition cover spread showing front and back images for non-US countries edition. The back cover shows Hogwarts by the light of a silvery moon. The adult edition book jacket photography for the book ‘Harry Potter and the Deathly Hallows’ by Bloomsbury Publishing, Allen & Unwin, and Raincoast Books. 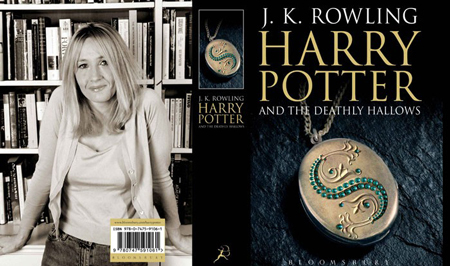 Cover spread for Harry Potter 7 adult Europe, Canada, Australia and Asia edition, with the back is photograph of Harry Potter creator author J K Rowling. The gift cloth special edition cover picture of Harry Potter and the Deathly Hallows (Hardcover) by Bloomsbury Publishing, Allen & Unwin and Raincoast Books. 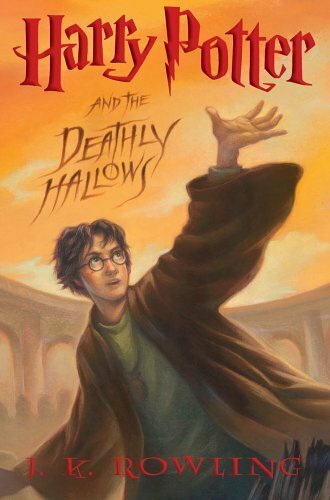 The hardcover and large print front cover artwork illustrated by Mary GrandPre on US edition of Harry Potter book 7 published by Scholastic Press, where the picture shows a dramatic gold and orange sky and a teenage boy in glasses (Harry Potter) reaching upward. Paperback edition likely to use this image too. The American cover is a wrap-around, with the back cover showing spidery hands are outstretched towards Harry. And when you open up the book, the full imagery and the cover illustration is reveled, as shown below. The picture of full cover spread for US edition of Harry Potter the Deathly Harrows. 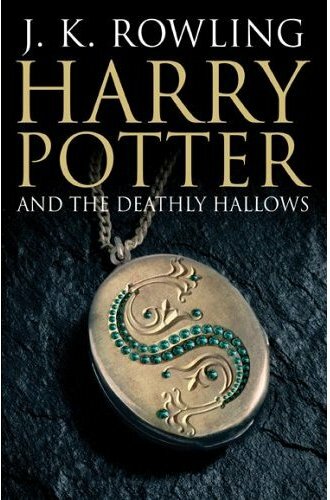 The very initial and early leaked of possible cover for Harry Potter and the Deathly Hallows, before the official cover images been released, likely to be a promotional illustration.